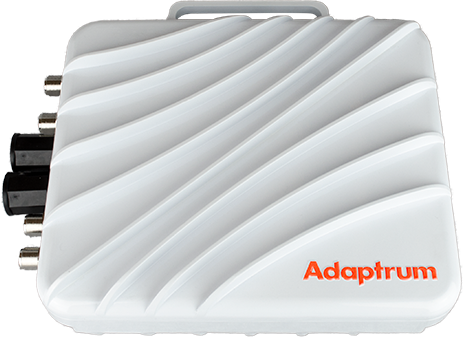 Adaptrum has developed an end-to-end fixed wireless solution for delivering high-speed broadband using TV White Space wireless technology. Leveraging TV White Space spectrum, our system achieves the maximum performance when it comes to range, capacity, and reliability. The products of Adaptrum’s globally proven solution span access devices, management software, and embeddable chips and modules. Providing the ideal solution for enabling affordable last mile access. Utilizing low-frequency UHF spectrum, Adaptrum radios are able to achieve ten times the coverage of higher frequency WiFi solutions, and provide connectivity in non-line-of-sight (NLOS) conditions to remote communities, across rugged terrain, and through heavy trees and obstacles. Comprised of rugged globally proven TV White Space basestations and TV White Space client radios, the end-to-end Adaptrum solution enables operators to easily and affordably deliver long-range non-line-of-site internet connectivity. 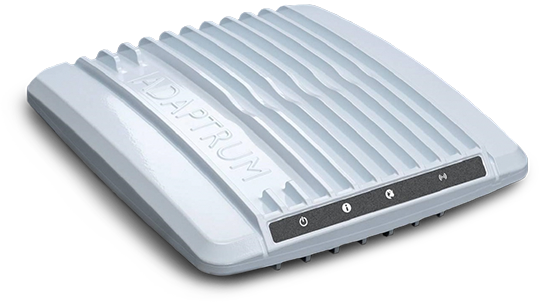 Adaptrum ACRS2 Basestation radios provide long-range coverage for delivering point-to-multipoint connectivity. With a compact rugged enclosure, low power design, and portfolio of capacity options, ACRS2 Basestation provide the ultimate flexibility for delivering wireless broadband in environements beyond the reach of line-of-site technologies. 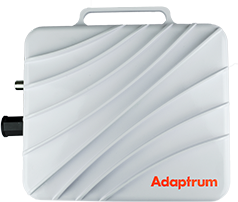 Adaptrum’s ACRS2.0 provides long-range wireless broadband connectivity with unrivaled coverage, simple deployment, and reliability. The ACRS2.0 client radio works with any Adaptrum basestation to receive long-range wireless internet connectivity ideal for a range of wireless applications: from rural broadband for underserved communities, to machine-to-machine communication. 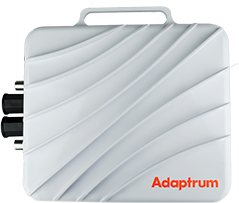 To get the most out of the Adaptrum TV White Space radios, a range of high- performance antennas are available. 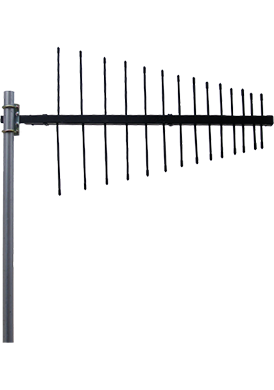 These include panel antennas for providing sectorized coverage as well as directional antennas intended for client installations. All Adaptrum radios comes with integrated & pre-provisioned access to the Nominet spectrum database. Radios will automatically register and determine channel availability. Want to know how many available channels are available in your market? At Adaptrum, we realize that operators need an access solution that not only meets their easy to deploy and simple to manage. To minimize the time and cost associated with each with the built-in Adaptrum Web Interface and the access anywhere Planet Adaptrum network management system. 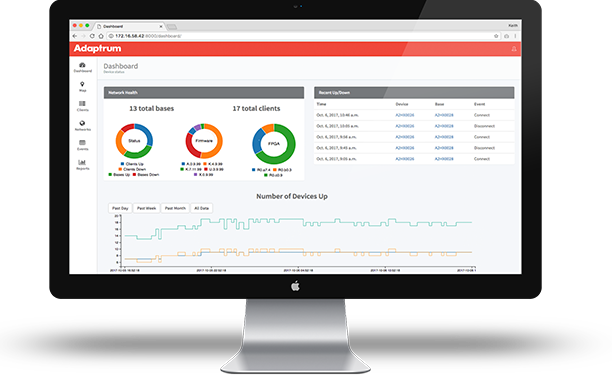 Every Adaptrum device ships with an integrated web-browser based management interface that makes provisioning and troubleshooting individaul devices in the field a breeze. Our Planet Adaptrum cloud service provides comprehensive network management for all your Adaptrum devices. 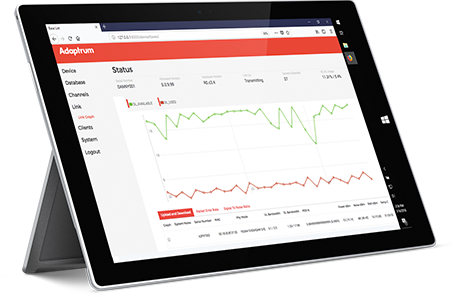 Securely accessible from anywhere on the planet, Planet Adaptrum Network Management System (NMS) lets you easily monitor, configure and control one or more networks. With intuitive dashboards, customizable reports, and realttime alerting, you can easily perform: network configurations, fault management, and performance monitoring. The cloud-based Planet Adaptrum service can flexibly scale from a few to thousands of devices on demand. The single largest barrier to wide-scale adoption of TVWS for last mile access is the cost of equipment. 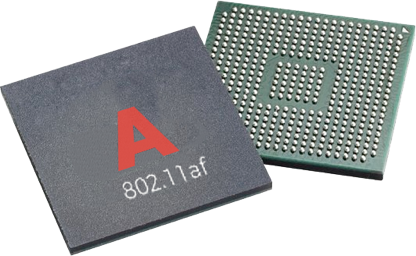 With the ACR1000 chip, Adaptrum is changing the economics of building fixed wirelss access solutions as well as enabling next-gernation multi-band WLAN networks that take advantage of the low TVWS frequencies.